I first met David Haddock about 5 years ago when he was working with another coffee company, teaching his customers and local baristas how to make coffee the right way and extract the fullness of flavor from their beans. I had a latte at Java Passage – one of his clients located in a small kiosk in The Design Center – that totally blew me away. Ever since, he has served as my personal Virgil, guiding me through the many-tiered labyrinths of the complex coffee universe. 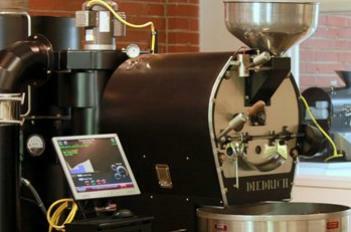 He is now, along with his new partners, roasting some very special beans in NoDa, at Boquete Mountain Coffee. The name derives from a region in Panama that produces, according to David, some of the finest beans in the world, many of which work their way into the various blends he creates at their roastery. I dropped by recently to see what they were up to and if he could top what I consider my two signature coffee moments: The first was at La Colombe in Philadelphia, where ten years ago I had my first “aha” experience (or, as I said it then, “I never knew this level of coffee even existed”). The second was that latte experience at Java Passage five years later. I remember it well: David made me a latte using an espresso blend of five different beans, roasted at different degrees of intensity. As a result, I am now prepared to say I have a new benchmark “aha” reference point — a velvety smooth brew with a depth of flavor that keeps opening up with each sip and remains behind in a loyal finish that you enjoy even an hour after you’ve drained the cup. I just hope he hasn’t ruined me for coffee from anywhere else. Okay, you guys are actually roasting coffee beans right here in NoDa. This is the hometown of S&D Coffee, one of the most successful coffee roasters in the country — what do you do that’s different from what they do? We treat the coffee as a fragile agricultural product that can be damaged or destroyed flavor-wise at any given point along its journey from seed to cup. We source our beans very carefully from small producers in many different countries and the coffee we select must meet the flavor complexities we require for our blends. We profile each coffee’s flavor by using a combination of science and technology, artisanship, experience, and our palates. One of the keys to great coffee is meticulous attention to detail at the roastery level. Boquete, by the way, is a town surrounded by coffee farms in the Chiriqui province of western Panama. The priciest coffee in the world, called Geisha ($160 per pound in its green or unroasted form), a cultivar from Hacienda La Esmeralda, is grown in this area. 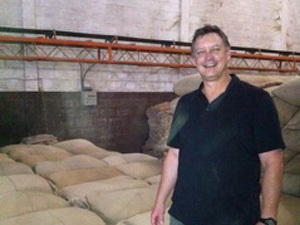 We named the roastery after this area due to the friendships and relationships our partner, Randy Lenz has there. Randy and Scott Smith, the other partner, sought me out for my expertise in this industry and together we have begun the tough, but fun task of building a local roastery here in Charlotte. Tell us more about the places where your beans are grown and why those beans are so special? They are usually remote, small farms in the coffee growing regions of many different countries, including Chiriqui in Panama. 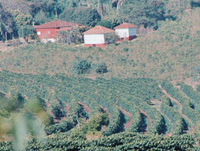 Altitude affects a coffee’s flavor and how quickly the fruits develop. Depending on the origin, 3,000 to 6,000 feet above sea level is ideal for the types of coffee we source. The very best coffees develop slowly at the right altitude and under a canopy of shade trees, or in cloud forests. Sustainability is a huge issue for us. If we find a great coffee that’s organically produced and shade-grown we obviously want to buy it year after year. Helping the farmer, by employing direct trade practices and personal relationships, assures our ability to have these wonderful beans available to us – and, ultimately, our customers. There’s a certain amount of confusion in the consumer world about what, exactly, espresso is. It’s so dark and finely ground that you would think it’s got more caffeine than regular coffee. Can you clarify or dispel some of the myths about what espresso is and isn’t? Espresso is a brewing method. It’s not a roast, certain type of bean or a blend. The way you brew coffee determines the yield and flavor characteristics you will achieve in the cup. For example, French press is a brewing method, so is auto drip. Both methods of brewing coffee produce different outcomes in taste. The same rule applies to espresso. But, instead of pouring hot water over coarsely ground coffee for four minutes as you would for drip coffee, in the case of espresso, 200-degree water is forced through approximately 10 grams of finely ground coffee at 9 atmospheres of pressure to yield 1-1.25 ounces of liquid. The result is a rich, concentrated, complex cup. The taste profile should be a tapestry of bitter, floral, smoky and ultimately sweet coffee. Espresso has significantly less caffeine than a regular 12-ounce cup of coffee, about 90 percent less. People have a tendency to equate perceived flavor strength with caffeine content. In actuality, there is only 40-50 milligrams in an individual shot of espresso vs. the 450 milligrams in the 12-ounce cup of regular. Wow, that’s something that I bet very few people know, though they might be glad to know they aren’t as caffeinated as they thought. But, with all the focus on acquiring specific beans, does having better beans really guarantee a better cup of coffee? There are no guarantees in coffee, sadly. You could have the most perfectly grown, carefully harvested, precisely processed, expertly roasted and blended specialty grade coffee in the world and still make a horrible cup of coffee. This is a truism: the average consumer has no basis of reference for what great coffee tastes like or the knowledge of how to make it. There is a saying: “A person can only go as far as they have been taught.” If Maxwell House in a Mr. Coffee maker is how you learned and experienced coffee, then properly brewed specialty coffee will either taste “too strong” or give you your first “aha!” moment. Better beans give you a starting point for making a better cup of coffee. The rest, like learning any recipe or skill, requires thought, fundamentals, and practice. How do you train the end-users of your beans to make the best possible pot of coffee, whether restaurant accounts or home cooks? First, by teaching them how to taste coffee. That’s a fundamental building block. Once they learn that they can distinguish different notes, flavors and mouth-feels in coffee, and they can then start to identify the same in the coffees they brew either at home or in the restaurant. Second, we teach the factors that affect coffee’s flavor like origin, climate, processing, roasting and brewing. By giving them a primary understanding of the care and handling of coffee, we feel that they more successfully retain the knowledge that will improve the taste of the coffees they brew. How does the “Average Joe” get your beans to make their own cup of joe? Well, we have several different ways. The first is through our website, which we continuously update. Or, they could simply walk in and see what we have available on our in-house display. Also, Pasta and Provisions is carrying our coffee and selling it under their Il Fiore brand. Can you give our readers five tips that they can use immediately that will make a difference in their enjoyment of coffee, whether from your beans or their favorite brand? 1. Buy your coffee either from us or from a reputable coffee roastery. Freshness is a big deal, so buy your coffee weekly from a company that’s roasting weekly. 2. Buy quality grinding and brewing equipment. Burr grinders from Kitchenaid and Cuisinart are better than cheap blade style coffee/spice mills. Your coffee brewer should be able to maintain 200 degrees F for the entire brew cycle. Typical home coffee brewers can reach around 180 degrees F and then only for a short time. 3. Use the right recipe. 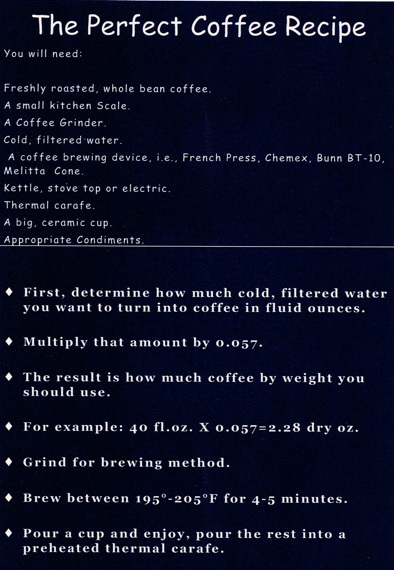 Determine how much water you want to turn into coffee in fluid ounces. Multiply that amount by 0.057 which will give you the amount of coffee in dry ounces to use for that amount of water. 4. Grind properly for the brewing method and brew for 4-5 minutes using clean, filtered spring or filtered tap water. 5. Enjoy! (If you have any problems give us a ring). There are many factors that affect the flavor of coffee. These factors, when working in concert with each other, produce a unique flavor signature for that type of coffee. Costa Rica coffees tend to have a bright, almost tingly acidity on the tongue that dissipates and wanders into a mellow chocolate. Colombia coffees have a grassy acidity and, depending on the farm in which it’s grown, chocolates and caramel surround a medium body (mouthfeel). Sumatra and other Indonesian coffees usually have a big, bold body. Chalky, earthy, mossy are usually some of the descriptors of these coffee’s mouthfeel. Happily, that body is not paired with much, if any, acidity so you get the punch without the tingle. African coffees vary from province to province in taste characteristics. Kenyans are winy, with an effervescence of berry and floral tones melded together. Ethiopia, the original coffee, can smell like fresh blueberry pie or a deep satisfying cherry. How the coffee is roasted and to what level of roast it’s taken is critical to the inherent flavor development. Dark roasts are not always better. The delicate balance of acid and sugars is something only skilled roasters can do consistently , so it’s really important to know your roaster. 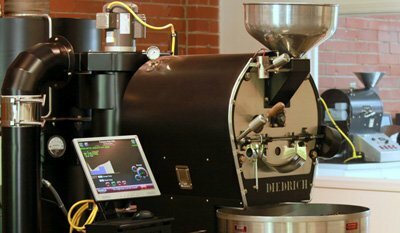 Details: Boquete Mountain Roastery, 2113 N. Davidson St., Charlotte, (704) 243-8900. Call first to set up a visit.